AC Milan are reportedly interested in Zenit midfielder Leandro Paredes, but they’ll have to splash out in order to prise him back to Italy, as per reports. The 24-year-old enjoyed a previous stint in Serie A with Roma, but he embarked on his new challenge in Russia last year as he’s gone on to establish himself as a key figure for Zenit. As per Calciomercato though, via the paper edition of Tuttosport, Milan have been linked with a move to bolster their midfield options, but it’s claimed that they’ll have to potentially fork out €35m in order to make Paredes the solution. 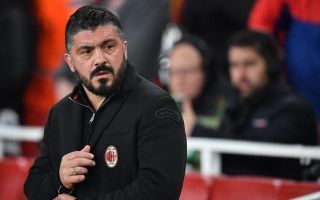 Gennaro Gattuso saw Tiemoue Bakayoko arrive from Chelsea on a season-long loan last month to give him another option in midfield, but the Italian tactician continues to rely heavily on favoured trio Giacomo Bonaventura, Lucas Biglia and Franck Kessie. In turn, a move for Paredes would make sense given that they’re trying to compete on multiple fronts and get back into the Champions League, although time will tell if that touted price-tag is enough to put them off and force them to consider other targets. Meanwhile, in terms of possible exits next year, speculation has continued to link Ricardo Rodriguez with a possible departure from the San Siro, despite the fact that the Swiss international has only been with the club just over a year. However, his agent has moved to dismiss those suggestions, insisting that neither Milan nor his client have ever expressed a desire to part ways. Diego Laxalt arrived from Genoa last month to offer more competition at left back, but based on these words from Rodriguez’s agent, the Uruguayan won’t act as a replacement any time soon.